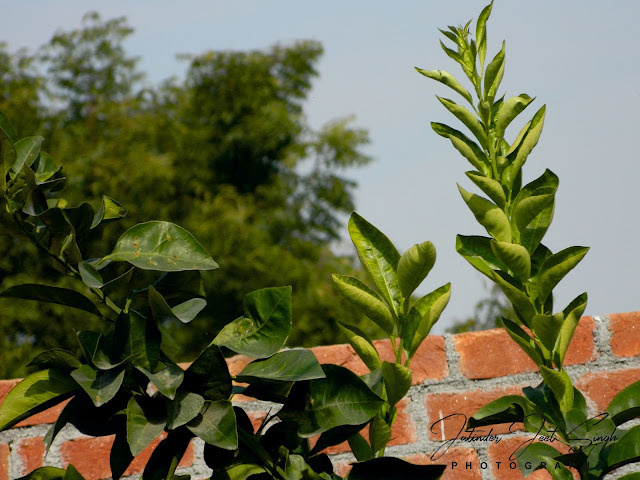 This blog is meant to showcase best nature images and scenery wallpapers through my photography. I would even keenly focus on describing and at the same time relating these nature images to the day to day challenges, risks that we face in our life or to the endless experiences and chances that life offers us. Do share your views on how you felt about these photographs by commenting in the comments section. Your comment is always welcomed. by the almighty , the same way the leaves never know as to which tree the belong to, it's just when they are born they learn what they are taught and what has been chosen for them. 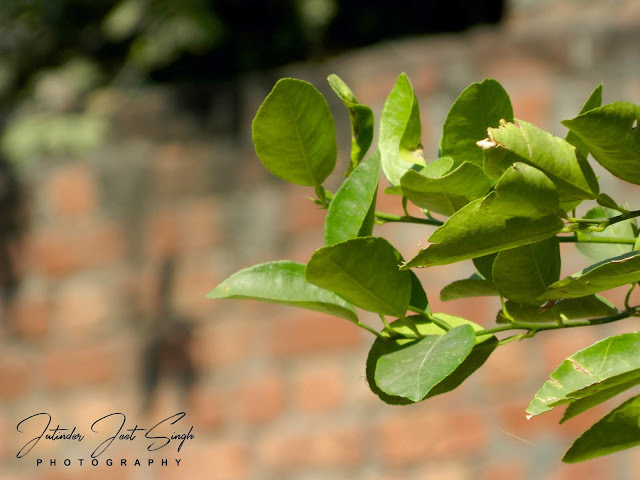 Look at the natural photography above these leaves look so pretty and always stand for themselves even in the harsh times. The ones that are weak and cannot conquer the obstacles get detached from the branch and get decomposed. Try to relate it to our lives. The factor that matters the most is our upbringing. The way we are brought up, are taught to fight our difficulties and handle the situations matters a lot. Parents and their teachings are like the tree and it's branches to the leaves like us, they keep holding on us and never let us fall, they provide us with all that we need to survive the hard times and fulfill all our needs. But once we try to disobey them and leave their support, we destroy ourselves. When we are with them we do good things, make everyone proud and the whole world applauds us just like the green leaves that stand high and pretty, and we all love them. But once the leaves get dry and fall apart we the ones who use to love them, when they were green, step on them. The same happens with us when we try to free ourselves from our parents and their teachings, our world falls apart, we are no longer appreciated. All the above happens and we get destroyed, but do you know what the best part is nothing happens to the tree, the tree remains the same, it again gets NEW LEAVES AND EVEN BETTER ONES. 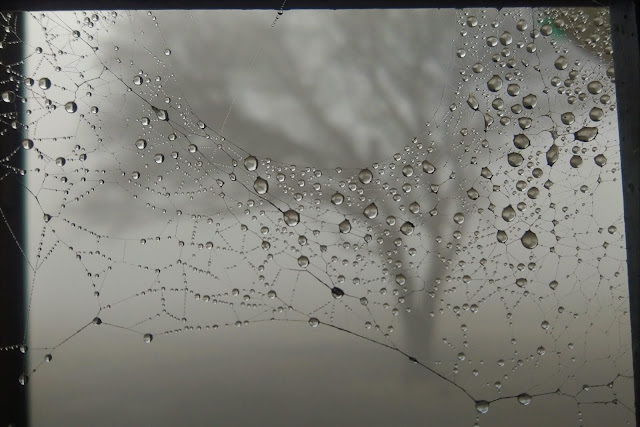 It was about the responsibilities (the webs) and the precious moments (the dew drops) in them. This is an extension to that post. Now look at the picture above. We already know that the web stands for our day to day responsibilities and the dew drops represent those precious moments that make us enjoy and cherish those responsibilities. In the above natural photography we see a dry leaf trapped in the web full of dew drops. That leaf represents us. 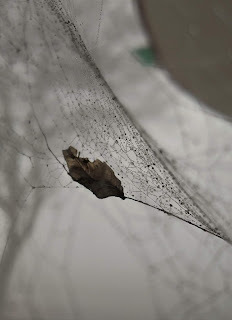 We are same as that dry leaf stuck in the web. The more we try to free ourselves from these webs the more we get entangled. We are surrounded by a lot of webs, responsibilities, stress, precious moments that make us happy, etc, etc, when held together is called life. 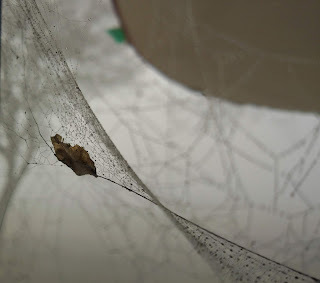 We are never free from our duties and can never delay cause this dry leaf and its web is bounded by time and the creator. As the time passes by the leaf and the web gets destroyed, so it is the leaf's prime duty (again a duty) to complete the given task in time and cherish those moments side by side, because , TIME NEVER GIVES YOU TIME. Hence, we have to cherish even the bad because the more dry you are the faster you decompose. And don't we all like green things more than the dry one. So THINK AND EXPLORE. 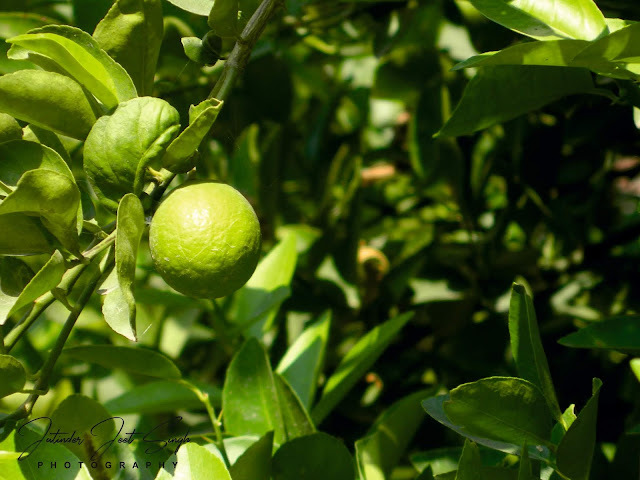 Whenever we hear the word GREEN , what strikes us first? Nature is just like our parents. Just like our parents nature keeps us blessed in its warmth, always look afters ourselves. Take a look at the pictures , what do you see? 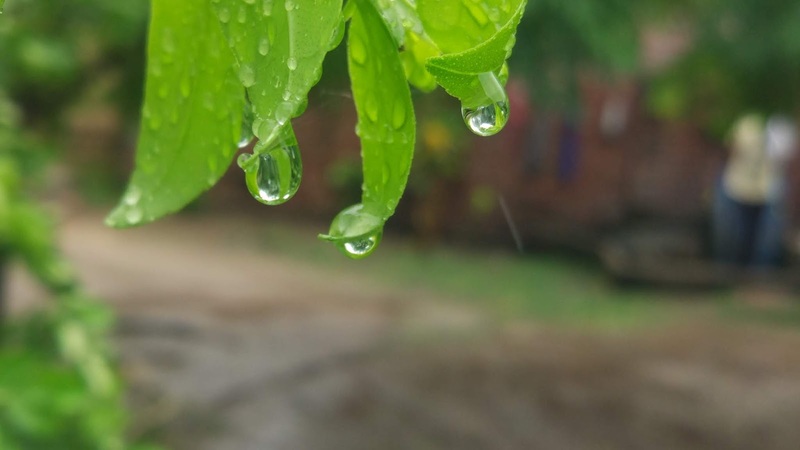 Leaves, trees and the rain drops of in the focus. Aren't these trees the reason behind the rains, we can say that rain originates from the trees (the greenery) just like we are from our parents. The trees gives birth to the process of rain and when the rain falls it makes those trees look more charming and beautiful. This process is same as parents upbring us with the best they can do for us, give sacrifices and let us to the way to our success. Maybe what we do is our decision which leads us to our success but that ability to make decisions is given to us by our parents. 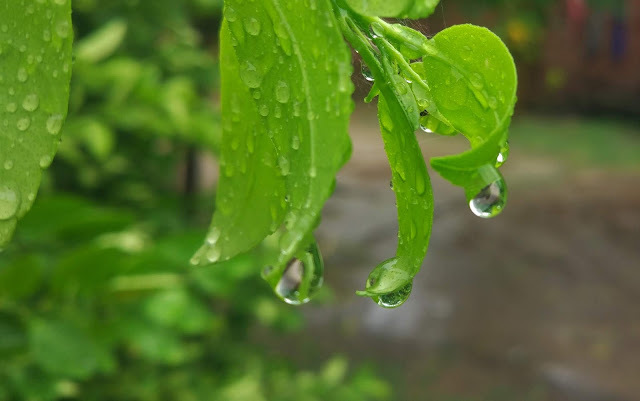 When we achieve success it is not us who feel the happiest , its our parents, just the same way when rain pours and the whole nature seems grooming and happy. Thus we need to understand that walking on the way which our parents ask us to is never a wrong decision . It will always lead to our success and thence our parents' success. In whatsoever you try to find beauty in nature it will never disappoint you, for example, beautiful nature photography. Life never disappoints us by giving ups and downs, the same way nature gives us the seasons. 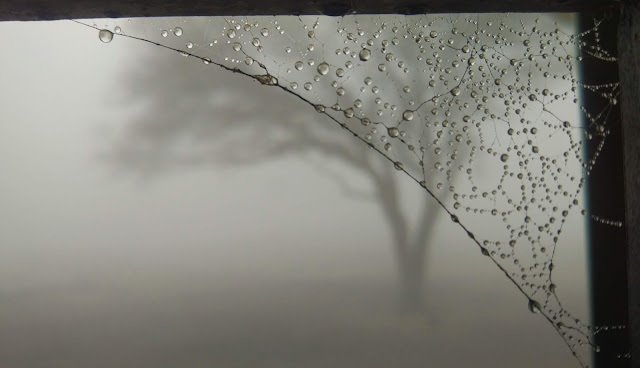 What we see, is a natural photography containing dew drops on a web. Normally webs don't attract us , do they? 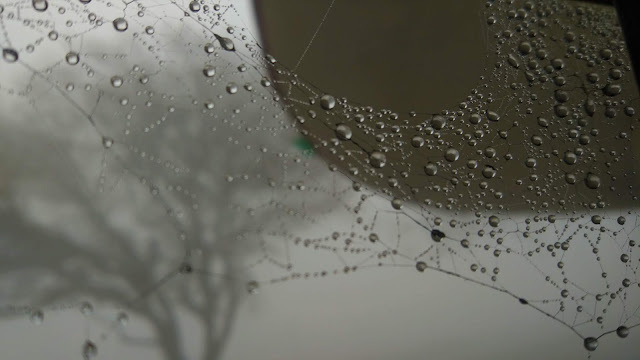 But the dew drops make it look so beautiful just like a DIAMOND NECKLACE. Don't our lives offer us the same experience? 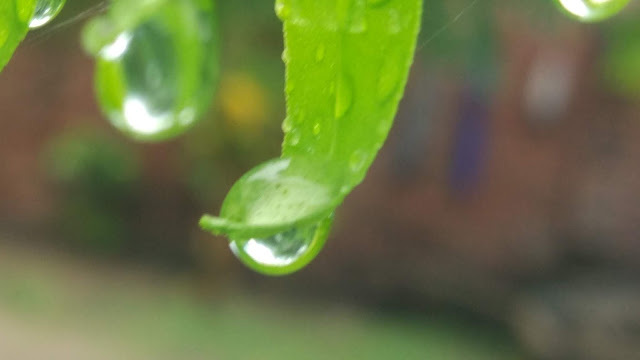 We have our webs, the burdens and responsibilities that we are bounded to, but the special moments, just like the dew drops in the photography, make them so special that we never stop ourselves from stepping in those webs. Sometimes the webs are our choice , while the other times they aren't, but each web has its own dew. Maybe we can't find the PEARLS in the beginning , we have to focus at them just like the nature images, but even if we find them late they never let our expectations down , they give us satisfaction that matters in the end like these beautiful photos.